The house speaker knows that if the GOP loses seats in Congress, Bernie Sanders could become the Senate Budget Committee Chairperson. Paul Ryan is famously described as what Republicans think a smart person sounds like. But sometimes the speaker of the House outsmarts himself. Ryan lectured Young Republicans in his native Wisconsin last Friday, and the national news media were invited to listen along. The speaker wanted to make the case for Republican voters to turn out and back GOP congressional candidates, even if they can’t stomach their party’s scandal-plagued presidential ticket. Implicit in Ryan’s argument was the suggestion that a Republican-controlled House of Representatives and Senate could be counted on to obstruct Hillary Clinton’s supposedly “liberal progressive” agenda. But in a question-and-answer session following his unremarkable speech, Ryan inadvertently made a case for liberals and progressives to turn out in big numbers in order to elect Democratic candidates in the fight for control of the Senate. 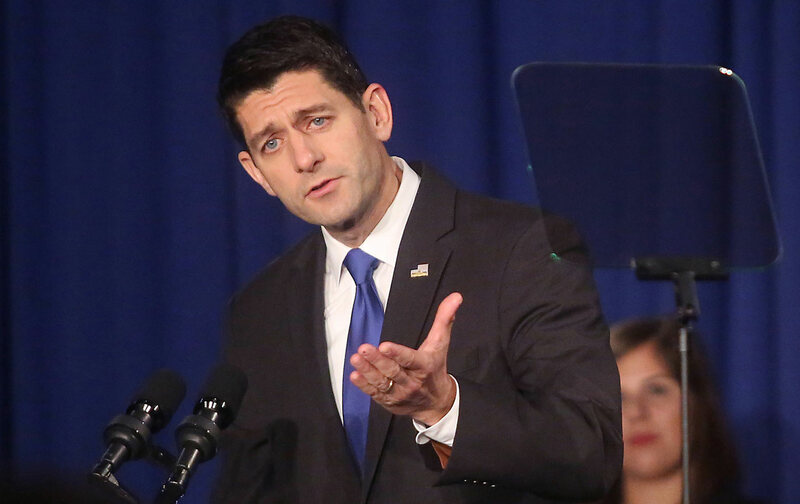 As he outlined his Wall Street–friendly proposals for tax reforms that would more rapidly redistribute wealth upward, and for budgets that would put vulnerable Americans at greater risk while increasing burdens for middle-class families, the speaker explained that his agenda can advance only if Republicans control both the House and Senate. “If we keep control of the Senate in the Republican hands…a nice guy named Mike Enzi from Wyoming is the Senate budget chair and he helps us get these budgets to the president’s desk, gets these tax bills through,” he said. Ryan’s comment drew a tepid response from the Young Republicans he was lecturing. No surprise there. Polling suggests that Bernie Sanders is among the most well-regarded political figures in the country, especially among younger voters, and the long-time independent generates far less partisan antipathy than veteran Democrats. But when word got out that Ryan was rattled by Sanders, the response from around the country was electric. People who might have been having a hard time getting excited about the presidential race were most intrigued by the possibility that Sanders might become a powerhouse in the Senate. The possibility is real enough. That prospect scares Paul Ryan. But it excites a lot of other people. Because Ryan’s Friday event—at which he avoided mentioning the candidate he has endorsed for the presidency—was otherwise devoid of news, the speaker’s reference to Sanders got a good deal of attention. Reporters tweeted about Ryan’s comments regarding the Vermonter, and made mention of them in articles on an otherwise inconsequential event. The response was immediate—and enthusiastic. Paul Ryan is making a muscular case for why control of the Senate should be grabbed away from right-wing Republicans and handed over to a party that plans to put Bernie Sanders in a position of power.